I am an engineer and like many of the students with similar backgrounds within the Chang Hong and CMAHC schools, I see things from a scientific frame of reference. The concept of Chi has always fascinated me and over the years great teachers like Master Chen, Si Gung Marco and the other seniors within our system have demonstrated that Chi and other attendant phenomena are very real and practically useful. However despite their best efforts to help me to understand this and related topics, understanding has eluded me for most of my career. It is only within the last few years that I have begun to feel and understand to a small degree how to apply these mysterious forces. I would like to begin by stating categorically that this is not intended as an explanation of these phenomena. It is merely intended as a basis for discussion. I cannot claim to have apprehended all the facts or to have achieved a very high level of practice. As such, I am not ‘expert’ enough to explain Chi. Even the thoughts that I jot down here are fluid and may change significantly over time. However, I do believe in discussion with a view to creating a platform for future growth in understanding. Although intellectual understanding is very limited in its potential to open the concept of Chi to a student, it’s not without merit. Firstly, Master Chen has stated in one of his treatises on Chi that there are definite limits to what a human being can do with Chi. He stated that if the opposing force was too fast (like a bullet) or too acute, Chi sense would not be useable against it. So right from the beginning of this discussion, we can identify that Chi and its usage does not constitute a supernatural phenomenon. As such, it is natural, however subtle, and a set of physical and physiological laws will govern its action. When we launch into a study of the concept of Chi outside of our system of martial arts, the topic becomes confused very quickly. I believe that the reason for this is three-fold. Historic and cultural literature. The concept of Chi has been studied and treasured by individuals within Eastern culture for thousands of years. Because of its intrinsic value to Eastern culture and the history associated with it, it has accumulated a thick patina of references. Due to language barriers, cultural barriers and time related differences in perspectives, most of these references are confusing to modern, Western readers. Indeed, some of these references may be intrinsically misleading since they were originally intended as allegorical or mythic devices. In some cases, I believe that parables were used to describe phenomena in order to protect the integrity of the information and to limit the dissemination of this information only to individuals who had achieved a certain level of mastery. Putting all of these references together is bewildering and confusing unless you happen to be Master Chen. With his level of understanding and practice of martial arts, his practical mastery of Chi-related phenomena and his years of study into Chinese culture and history, he was able to sift through the bewildering mass and single out and interpret the gems that were relevant to an understanding of Chi. Subtlety of phenomena. The training methods and sensations associated with developing and using Chi are incredibly subtle to begin with. Trying to describe these phenomena in today’s language still leaves descriptions that can be as cryptic or misleading as the older historical references. Lack of true understanding. Many who claim an understanding of Chi do not fully or truly understand how to apply it. As such, they rely on tried-and-tested illustrations and proverbs from ancient masters to keep students happy. These ‘smoke-screen’ tactics hide their own lack of understanding and inculcate a sense of awe and wonder in their students. Unfortunately, this does little to further understanding and to disseminate knowledge. It promotes an uneducated status-quo. A hydrostatic skeleton or hydroskeleton is a structure found in many soft-bodied animals consisting of a fluid-filled cavity, the coelom, surrounded by muscles. 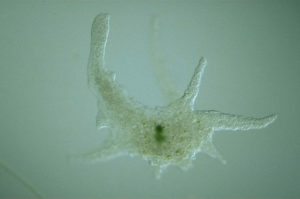 The pressure of the fluid and action of the surrounding circular, longitudinal, or helical muscles are used to change an organism’s shape and produce movement, such as burrowing or swimming. They alternately contract and expand their body segments along their length. such proposed mechanism, the ‘bleb-driven amoeboid locomotion’ mechanism, propose that the cell cortex actomyosin contracts to increase hydrostatic pressure inside the cell. The increase hydrostatic pressure causes the cell cortex to be broken in the direction of the desired flow. During the bleb-driven amoeboid movement, the cytoplasmic sol-gel state is regulated. As one can see, complex biological systems are built out of simpler biological systems and often mirror the simpler systems in terms of action and structure. Almost like the recursive repetition of structure seen within fractal shapes. Essentially, the human body is a large, muscular sack filled with fluid (an over-simplification, but necessary to illustrate the idea). By contracting and relaxing muscles surrounding the internal fluid-filled cavities of our bodies, hydrostatic pressure can be generated. Of course we are not as flexible as simple soft-bodied creatures because of our hard endo-skeletal system. 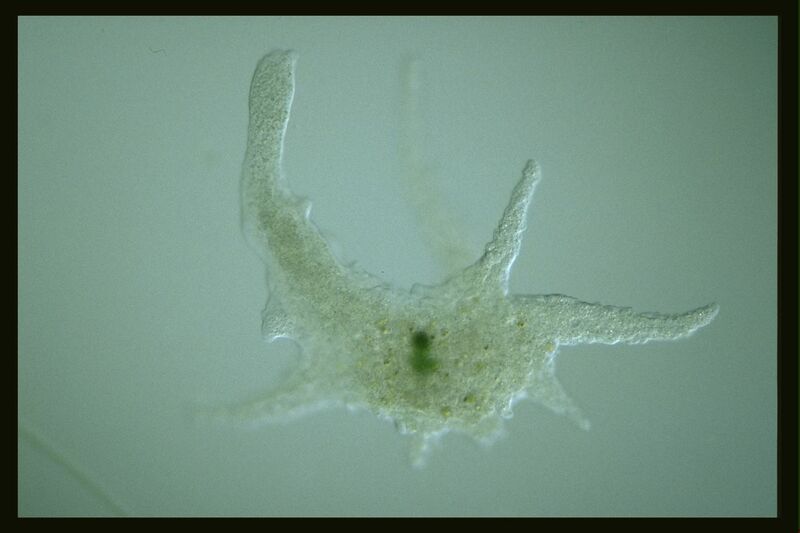 We cannot grow pseudopods and ‘flow’ from one place to another like an amoeba. However, I believe that through the use of proper training methods, sensitivity and intuitive control can be improved to the point where the hydrostatic pressure can be confined to specific areas to produce the desired outcome of augmented muscular action. Conventional muscles no longer operate independently under these conditions but are now coordinated with and assisted by controlled hydrostatic pressure acting within the hydroskeleton. This form of locomotion has all but been abandoned by higher organisms like human beings in favour of the use of simple mechanical locomotion through the contraction and expansion of muscles and the movement of endo-skeletal levers. I believe that this is why it is so hard to understand and apply this form of hydrostatic locomotion. It is hard because we are essentially re-assembling and re-activating the remaining building blocks of an ancient system of locomotion locked away within the recursive design of our physiology. I will briefly mention the concept of chi being related to bioelectricity and blood-flow. Of course, the fluids that fill the human body will all be affected by the controlled hydrostatic pressure differentials within the hydroskeleton. This includes the blood. If hydrostatic pressure increases locally, so will blood pressure and possibly blood flow. The levels of control necessary to localise and modulate hydraulic pressure come along with an increased level of nervous activity in those locations. This, combined with increased blood pressure and flow could account for higher localised levels of bioelectrical activity. A good example of this is the ‘Red-Palm’ training methods. I’m not going to list all that I have learned from my instructors about Chi and its nature and compare it to my model because the length of this article will become ridiculous. Suffice to say that in my mind, it seems to be a realistic and near-perfect fit. It is at least a start to the problem of explaining a very subtle set of phenomena to an audience which, like it or not, are firmly rooted in Scientific Realism. Now I humbly turn the stage over to my more learned colleagues and instructors to overthrow the model and propose a better one or to refine the idea further. I must state that the information I present in terms of cellular and physiological mechanisms is really outside of my field of expertise. I have merely done a little bit of research online and in such textbooks as I had available at home. As such, the information may be incomplete or faulty. My intention with this model is to provide a basis for understanding the major active mechanism in Chi-related phenomena. There are a host of other associated systems and phenomena which are related to the generation and control of Chi. My claim is that these can all be understood as cooperative systems which stem from or are used to produce and refine the major active mechanism. My proposed model does not cover all the phenomena associated with Chi but it provides a possible framework to explain the basis. An example of one of the phenomena that are not covered by my proposed model is action at a distance. More study and understanding will be required to investigate those elements that appear to leave the framework of established physics behind. Many of these phenomena may end up being described by a type of psychological action or some form of as yet undescribed sympathetic ‘nerve induction’.